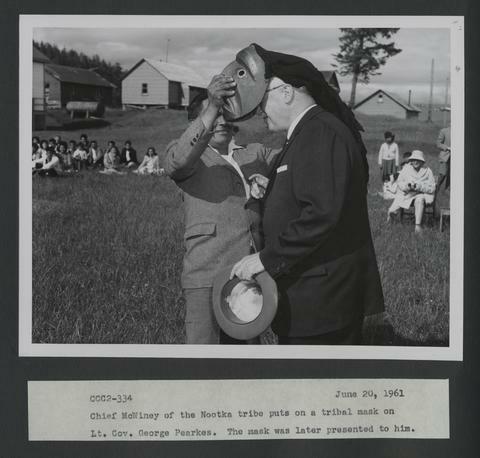 Item 1996-018, CCC2-334 - Chief McWiney of the Nootka tribe puts on a tribal mask on Lt. Gov. George Pearkes. The mask was later presented to him.